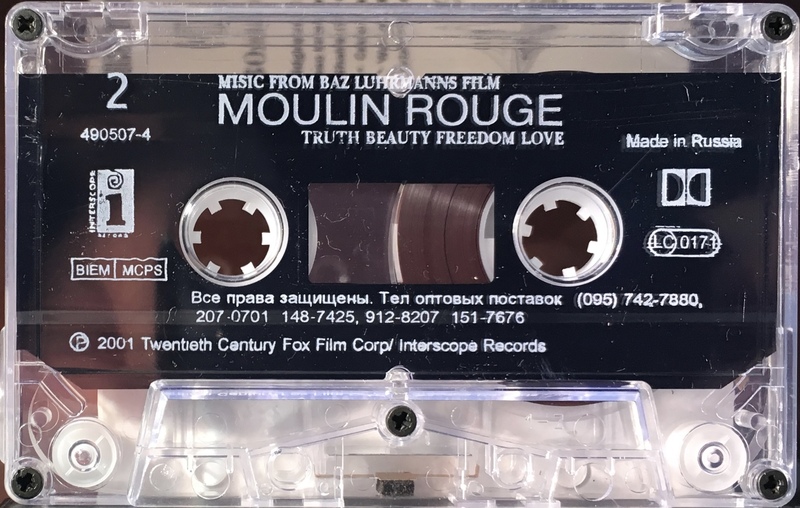 Moulin Rouge: Russia; Interscope, 493035-4; 2001. 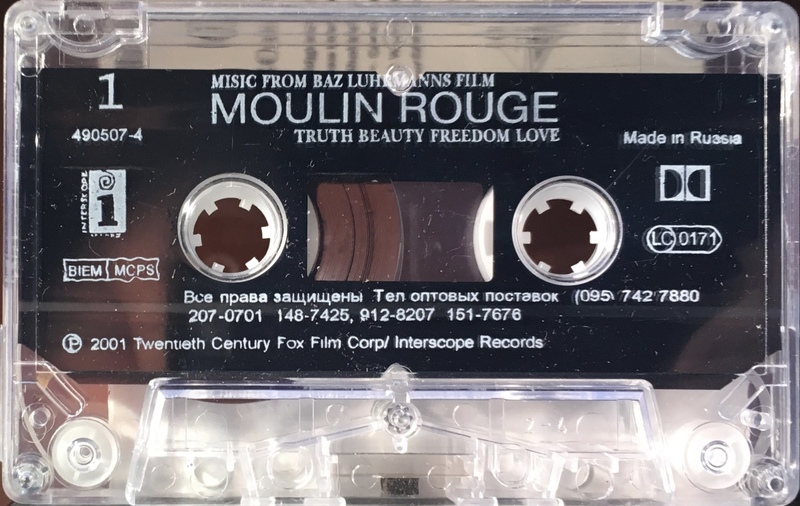 ‘Music From Baz Luhrmann’s Film “Moulin Rouge”. All picture panel cover on perforated, glossy paper. Track list on rear and inside panels with detachable Universal Music questionnaire in Russian. Hologram sticker on cover. Cover information in Russian, titles in English. ‘Universal’; ‘Bazmark’ and ‘Fox Music’ logos on spine with catalogue number 493035-4 which matches the barcode. David Bowie performs on one track: ‘Nature Boy’ and Beck performs a cover version of ‘Diamond Dogs’. White ink printed directly onto transparent, shell with shaped slip sheet. Information in Russian and ‘Made In Russia’; ‘BIEM/ MCPS’ rights on shell. The catalogue number on the shell is different to the one on the cover – 490507-4.